On Sunday, August 13 I'll pick the winner of the Ebook Giveaway of Finding Sarah Finding Me. Leave a blog comment below to enter. 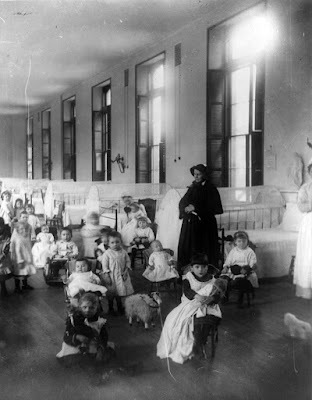 Sister Irene of New York Foundling Hospital. Back in 1999 when I was a single mother about to give birth to a baby, I didn’t think much about the history of adoption. The concept of someone raising someone else’s child as their own was an ancient idea. My first thoughts as a mother considering the relinquishment of my baby was of Moses. There is a great deal of literature around the subject of adoption, just think of many a Dicken’s novel and you’ll notice his interest in the vulnerability of parentless children, such as in David Copperfield, Nicholas Nickelby, or Pip and Estella in Great Expectations. There is evidence that Charles Dickens took a great interest in the welfare of children at a London Foundling Hospital that clearly shows in his novel Oliver Twist. But our modern-day idea of legally changing a child’s name and parentage is fairly new as far as the US and Great Britain is concerned. In both countries we find more written from the standpoint of contemporary social workers and the perspective of sociologists on the history of child welfare in regards to child abuse and the plight of single mothers than on adoption itself. As far as history goes, there was no formal legal groundwork until the mid 19th and early 20th century. However, adoption has existed from the beginning of the human race. When I was pregnant and unmarried, I felt the age-old anguish of the millions of women in the same situation—I needed someone to reach out and take my child and care for my child as if it were their own. Before formal legislature was laid down though, the closest arrangement would be that of wardship where the local courts gave custody of a child to a guardian. children being placed in workhouses or orphanages. In the US, children had been transferred to foster parents since colonial times, and often children were placed into the roles of indentured servants. All of this was eased by the lack of formal process in the recording births and the changing of names. 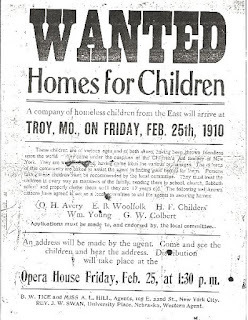 Due to economic need, parents were unable to provide for their children, and other farm families needed laborers. In both Britain and the US the concept of fostering or warship resulted in heightened child abuse and neglect especially with the industrial revolution. 1854 and 1929. One such stories is that of William and his brother Thomas. 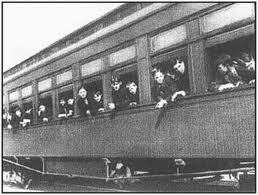 They rode the Orphan Train in 1880 at the ages of 11 and 9, respectively. William was taken into a good home. Thomas was exploited for labor and abused. The brothers eventually made their way back to New York and reunited. 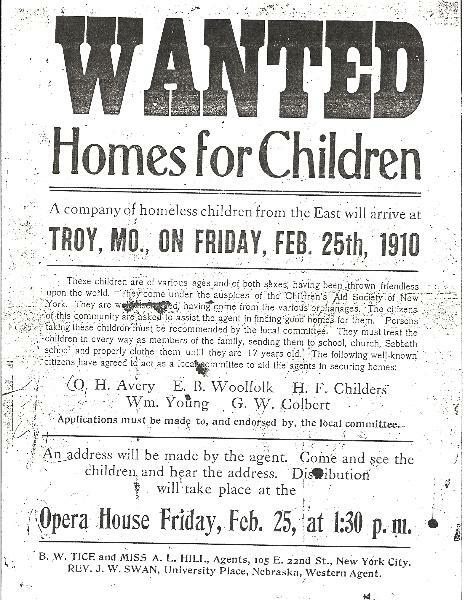 Not until The First World War, with pressure from various child rescue organizations did adoption laws gain strength for the welfare of children, created and improving adoption laws to what we know today. 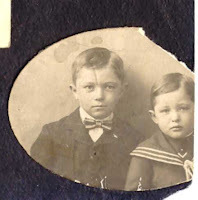 As late as the 1920’s there was no legislature to protect the confidentiality of adoption records. Birth certificates were not altered or sealed until the 1930’s, thereby protecting intrusions into adoptive and birth-families from each other. The reasoning for this practice was for the benefit of each member of the adoption triad—the adoptee, adoptive parents, and birth-parents. The social stigma of that time of being born-out-of-wedlock cast a long shadow. Even me as late as the 1970’s felt that stigma as an unmarried mother. Long after I met my husband and we raised our own children, I kept my firstborn a secret from the children I raised. In the early to mid 20th century adoption reached its height in numbers of Anglo babies born to unmarried women who had little social option but to give up their infants. Everyone in the adoption triad back then was persuaded to put the past behind them and get on with their lives. In many cases the adoptive parents were wonderful and many adoptees had wonderful childhoods. Sadly, though, the opposite is also true. Many of those adoptees would have had a happier and safer life if they’d been allowed to be raised by their biological parent. Not all adoptive parents were worthy of the gift they were given. Not until the late ‘70’s and ‘80’s did adoption laws begin to change and an openness began. But when I was a young pregnant mother in 1999 about to relinquish my baby girl to adoption I didn’t know the history. I did however trust a Christian adoption agency to place my little girl into a home that would give her everything I desired for her. 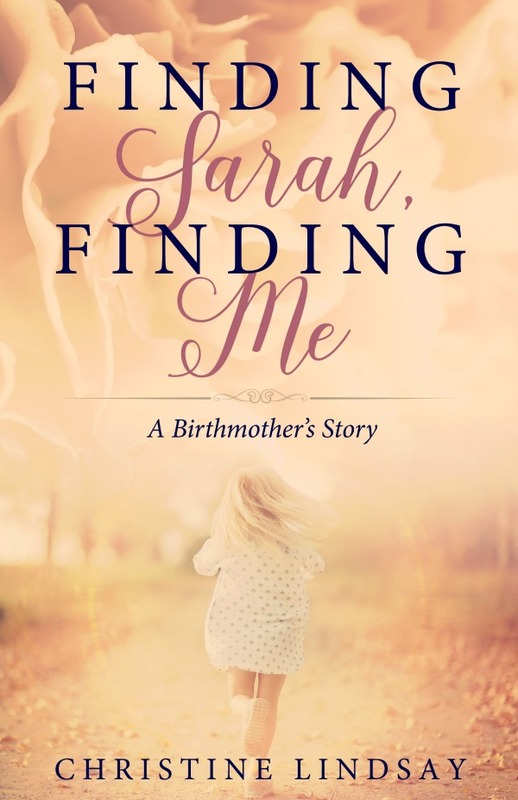 Go here to read more about the book Finding Sarah Finding Me: A Birthmother’s Story. Breaks my heart to read about those children. Your story sounds very heartfelt...and interesting. Adoption is born out of loss, and sometimes it is heartbreaking, and other times (thank God) it turns out for the best. I hope you get a chance to ready my non-fiction book Finding Sarah, Finding Me. I've entered you in the draw, for the winner to be drawn August 13. Blesings. Christine, thank you for sharing from your heart, where my tears teared up and my heart felt for you. I definitely want to read Finding Sarah, Finding Me. I have worked with foster and adopted parents. It's not easy for parents to give up their children. I'm thankful Jesus Christ has been there for you as He is the answer in all our difficult times. Great history lesson here. Dear Marilyn, my heart goes out to you. My journey eventually ended up full of joy, but it was a long road. So many children in the foster system hurt so much. I'm glad they have people like you in their life. 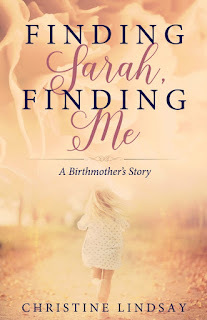 I hope you also win this giveaway of Finding Sarah Finding Me, but if not, I hope you will still read it at some point. I'm sure we can understand a lot of what they other has experienced. Hugs for now. Your story touches my heart. As the great-grandmother of a beautiful adopted baby girl, I know the joy that comes from adopting a child but I also realize that adoptions haven't always been easy or beneficial to the the child. One of my closest friend's adopted daughter found her birth mother, and it turned out to be a very happy event for everyone concerned. Thanks for sharing your story. Our church has set aside a special fund to help couples who want to adopt to meet some of the expenses they face. It's a great ministry. A special hug to you as the grandma of a little adopted girl. Hope you get to read Finding Sarah Finding me at some point, Martha. It is a tumultuous journey for most of us, but as I'm sure you've discovered, those adoption journeys also have great joys. Like this little girl having a sweet grandma like you. Hugs. Christine, I can only wonder at the strength you had to give up your daughter at birth. I have three adopted children, and I pray for their birth mothers every day. I look forward to reading Finding Sarah, Finding Me. Thank you dear Regina. As an adopted mom, you are so special to me. I laugh as I write this, because when you read Finding Sarah Finding Me, you'll discover just how weak I was a times. But we serve an amazing God who holds us up when we are weak, and gives back to us the years the locusts devoured. Hugs for now. Dear Eileen, what joy the Lord brought into your life FOUR times. Hugs to you. This sounds like a good book. Would love to read it. Thank you Ola for such encouraging words. I hope you get to read Finding Sarah Finding Me too. Hugs for now. And the winner of Finding Sarah Finding Me in Ebook format is Marilyn, But Marilyn, I need your email address.